Xiaomi has collaborated with Intel to launch the “90 Minutes Ultra Smart Sportswear” (that’s the official name). It's a sport shoe that tracks your activities and powered by intel. The Shoe will only be available in China for now, and it will be priced at CNY 300 for a pair of shoes. The shoe can track your movement - from walking or running, even climbing. At the end of the day you’ll get a report of distance traveled, your speed and calories burned. 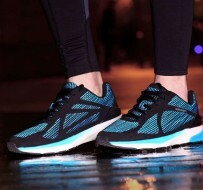 As for the shoes themselves, they have air cushions, anti-skid features, soles with an arch design and antibacterial insoles. Four color options will be available when the smart shoes launch in mid April 2017 - Black and Surf Blue for men, Black and Pink for women. A special Blue Edition glows in the dark for all of you night runners. The shoe is already up for pre-order, which you can place a pre-order on Mi Home, the expected shipping date is April 15, 2017. Only for China for now. Xiaomi smart sport shoe. Xiaomi 90 Minutes Ultra Smart Sportswear. Buy xiaomi 90 Minutes Ultra Smart Sportswear in China. 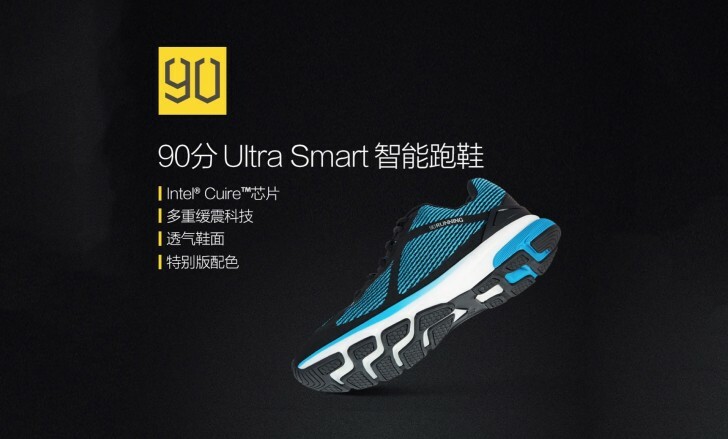 90 Minutes Ultra Smart Sportswear price in China. I love this brand. They are one for the future. Am sure one of those big brands will be looking to buy them, unless, they will be the one to buy them later. Xiaomi have always been an innovative brand. Nice one from them.